Mamoru Hosoda of Summer Wars and The Girl Who Leapt Through Time fame has returned to directing with his latest effort Wolf Children. That is all I knew about this film going into it. As I began to play my screener copy of the soon to be released film, I watched with anticipation to see what Hosoda and his newly established Studio Chizu had in store for me. In the past I have thoroughly enjoyed Hosoda’s works including the Digimon movies and the One Piece film he directed, but I have always felt that his films lack one thing or another, which ultimately impedes them from being more than just ‘great’. Wolf Children is a great film, with a moving story and meaningful message. But much like Hosoda’s other works, it is missing something. 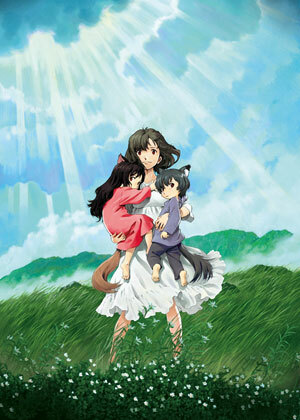 Wolf Children tells the tale of a young woman and her struggles in raising her two children. The catch is, the father of these children was a wolf man which leads to the children being part wolf themselves. This premise is interesting enough as it is and much like Hosoda’s other works sets things up to be a film all about family – except it’s not. This is a film about many things, perhaps too many things. It seems that with each act, the film changes focus dramatically, sometimes at a confusing rate. The first act, which is arguably the best one, is about love. It details the meeting of the mother and father and concludes with the event that sets the rest of the film into action. The love between these two honestly felt very real, things came naturally to them, almost out of nowhere they connected and their relationship felt truly genuine. But of course, all too soon that was taken away. This act concluded with the films best scene and I must say it was a heartbreakingly tragic one at that, that scene alone made this film great. It also made for a hard act to follow. Once the film moves into the second act, things began to fizzle. The focus of the film becomes family and how we make sacrifices for one another. From here, time begins to move at a rapid pace in the film. The children grow older and characters begin to disappear (a particular Grandfather disappears without a trace, did he pass away I wonder?) as the film progresses through 12 years of time. 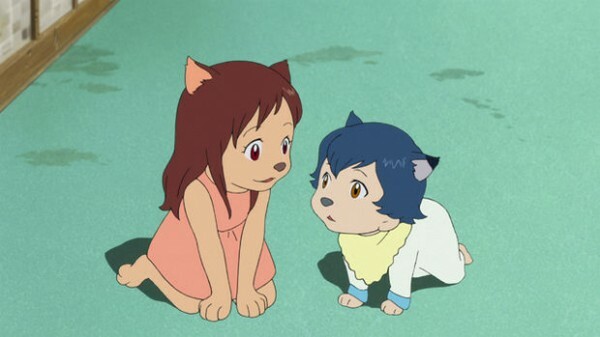 At this point Wolf Children has changed focus once again to being a film about identity, with the titular children caught between the human and wolf worlds. Before this can be explored any further things are quickly wrapped up, but I felt no sense of satisfaction from the film’s conclusion. The themes of the movie don’t come full circle and the characterisation up until that point was almost completely abandoned. There was so many great moments in this film, but in the end it is difficult to say what they amount to. I did not feel that everything came full circle. Instead I felt as though Wolf Children was missing something. It was missing a thread that tied it all together. Don’t get me wrong I thoroughly enjoyed this movie. It touched me with it’s honest emotional beats and provoked thought in me with it’s messages. Much like Hosoda’s other films all of the great parts of Wolf Children are not tied together, instead it feels almost as if each act exists as a film of it’s own, with a different message and story to tell. I’m not sure what his intention was with Wolf Children but there is a lot of different messages but no connective tissue to bring them all together. Despite that though, this is still an great film with a touching story about love, life and of course family. There is enough to see here in this 2 hour long film, that it can be a lot to take in. 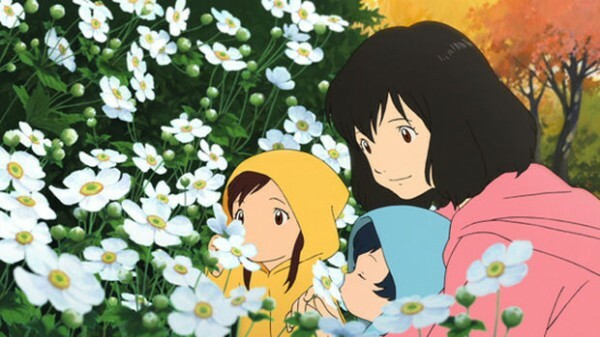 Though I believe the overall message of Wolf Children is that happiness is something that you can not force, it is something that simply comes naturally. 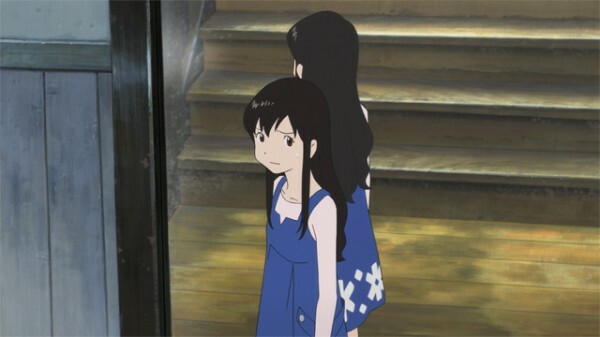 As with other Hosoda works, Madhouse has implemented the same distinctive art style that is shared throughout his films. If you have ever watched any of them, you would know that the art style is simply gorgeous and the animation is incredibly fluid and life-like. This is not different with Wolf Children, which is perhaps his most beautiful looking movie to date. There are gorgeous landscape shots and breathtaking point of view scenes. The attention to detail here is absolutely remarkable, with insurmountable care taken to bring this film’s world and characters to life. This is about as good as you can get in terms of an aesthetic experience in an animated film. Aurally Wolf Children hits all the right notes, the soundtrack is on point in every scene, although it isn’t incredibly distinctive. The track that played during the opening sequence was perhaps the best of the film, as it really set the tone for what followed. While that was a great mood setter, the most tragic scene in the film stole the entire show with a music track that was subtle yet completely on the mark. I felt as though the air was sucked out of me at the moment I heard it. It was truly chilling. This is definitely a great aural experience from top to bottom even though it only hits a few emotional beats that I haven’t heard before in some shape or form. What more can I say about Wolf Children other than it is a great film and easily Hosoda’s best one to date. While everything doesn’t tie together so neatly in the end, it is still an incredibly moving film about real emotion and what it means to be truly happy. 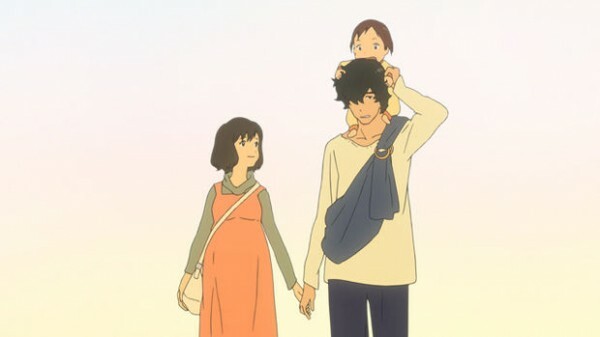 Whether it is love, a lifestyle, your family or perhaps something else entirely, Wolf Children speaks of a happiness that comes naturally, a happiness that we all aspire to achieve, either consciously or subconsciously. We may not always get it in the way we imagine, but that kind of happiness is special no matter what shape or form it may take. 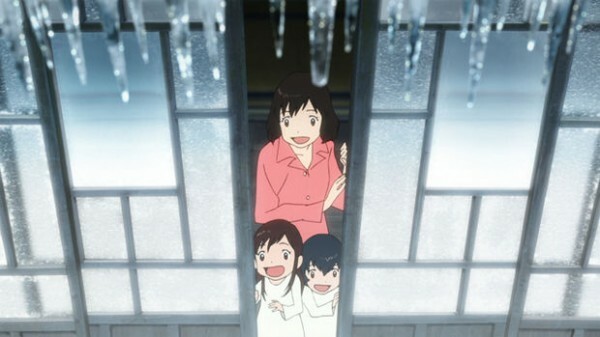 Wolf Children is a film that embodies that motif wholeheartedly and regardless of whether or not it gets everything right it is still a brilliant movie that teaches us something: never forget the power of a smile.